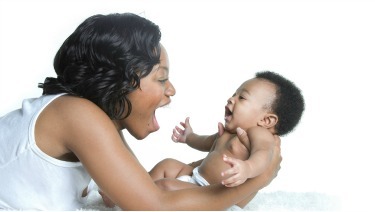 Taking care of your mouth—and your baby's—is one of the easiest ways to help your baby right from the start. When you're pregnant, you may be more prone to gum disease and cavities, which can impact your baby's health. If you already have an infant, her tiny teeth matter! Caring for them now sets her up for a lifetime of good oral health. 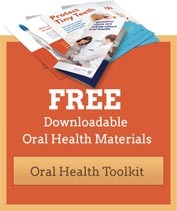 Check out these easy steps to protect her tiny teeth at any stage. See a dentist before you deliver. You may be more prone to gum disease and cavities when you're pregnant—and having them can affect your baby's health. Also, when your baby arrives, you could pass that bad bacteria from your mouth to hers and increase her likelihood of getting cavities too. Seeing a dentist while pregnant is totally safe—and it's good to get this done before your hands are full (literally) with your new baby. Brush twice a day and floss once a day. This is the best way prevent bad bacteria from growing that can be passed to your baby once they're born. If you're having morning sickness, rinse your mouth with 1 tsp of baking soda in a glass of water after you get sick. This helps wash the acid away and keep your tooth's enamel safe. Even if you can't see them yet, those tiny teeth are there—hiding just beneath the gums. Make sure to take care of them right from the start. Wipe the gums twice a day with a soft, clean cloth—in the morning after the first feeding and right before bed. That helps wipe away bacteria and sugars that can cause cavities. Once her first tooth comes in, start brushing her teeth twice a day with a smear (rice-grain sized) amount of toothpaste. Take your baby to the dentist by her first birthday. It's the best way to spot signs of problems early. If you don't have a dentist, ask your pediatrician to check out your baby's mouth and help you find one.